While it may sound like a new idea or concept, the origin of mind mapping goes back centuries in time. 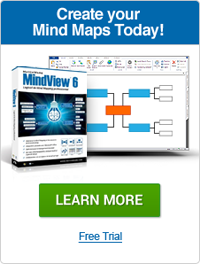 Mind maps are a graphical method of description to facilitate thinking and memory. It has been seen as long ago as the 3rd century, when Porphyry of Tyros graphically visualized concepts put forth by Aristotle. Over the ensuing centuries, many philosophers and thinkers freely used graphic recording of thoughts, concepts and knowledge for purposes of analysis, study and memorization. By the mid 1900's, the theory behind mind mapping was greatly refined and being taught in schools and in the business arena. One noted British psychologist, Tony Buzan, was credited with bringing the ideas of mind maps into the business realm to enhance creative thinking, during the 1960s. Using such pictorial representations to record knowledge has been useful over the centuries in many creative areas, especially for learning and brainstorming. The graphic representations assist memory capability through the use of right brain visual thinking and wide open problem solving. Educators, psychologists, engineers, writers, business managers and others have enjoyed the freedom and range of thought that mind maps allow. Mind maps are a graphic description and visual layout of ideas, thoughts, and words that are all related to one central keyword. Providing a base for creative problem solving and brainstorming that is useful to individuals and groups. The freedom and creativity of mind mapping over other methods of dissecting thoughts or ideas allows for faster problem solving and a wider range of creative thoughts. The combination of words plus visuals like lines, colors, symbols and putting everything down graphically aids creative right-brain thinking and memorability.